Petros Afshar, an award winning creative designer in the heart of London. Billboards have long been seen as blemish marring the sides of our roads and disfiguring our views. But doesn’t everything visible violate one’s air space? Not at all. Visibility is not the only consideration. 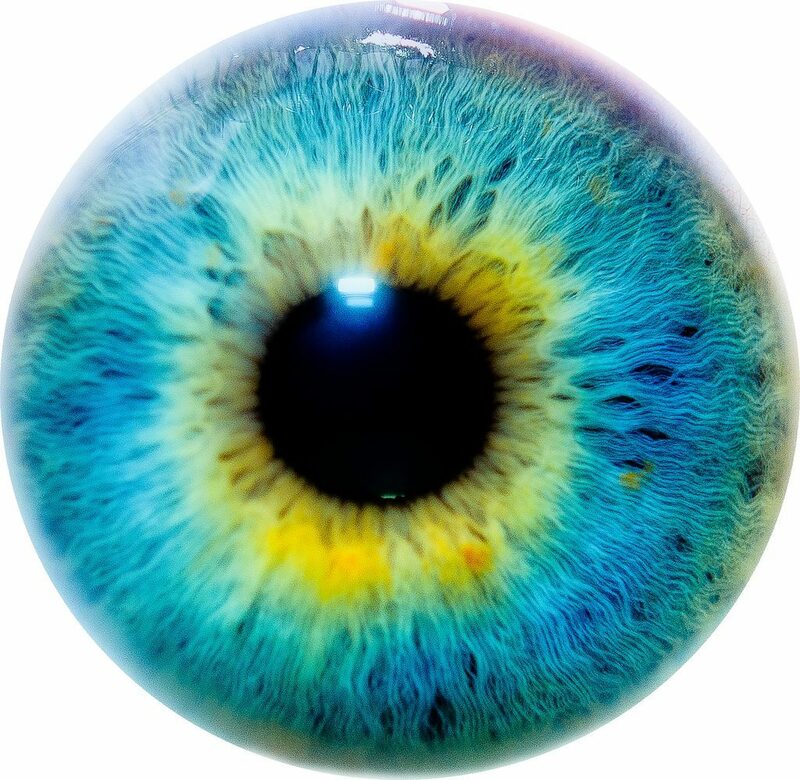 The Taj Mahal, street signs, the Golden Gate Bridge, a maze of telephone wires, even a garbage dump–however they may intrude on the eye–are not where they are merely to waylay your gaze; they have other functions as well. A billboard has no other function, it is there for the sole and express purpose of trespassing on your field of vision. Nor is it possible for you to escape; the billboard inflicts itself unbidden upon all but the blind or recluse. Is this not an invasion of privacy? I think it is, and I don’t see that the fact that a billboard is out-of-doors make the slightest difference. Even if it were possible for you to not look at billboards if you didn’t so choose, why in the world should you have to make the negative effort? 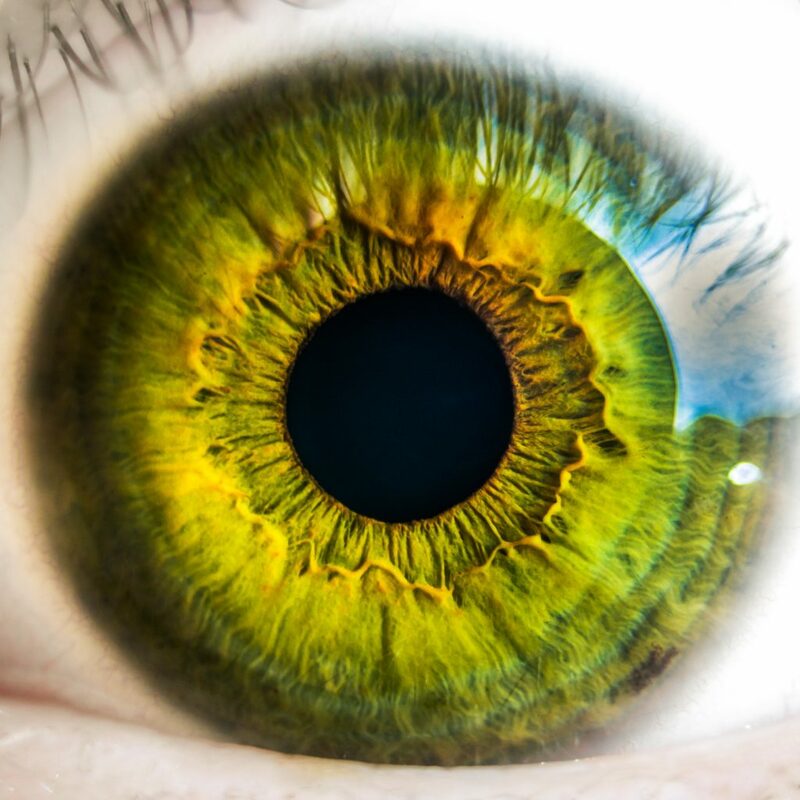 Moreover, this invasion of your privacy is compounded in its resale to a third party. It is as though a Peeping Tom, on finding a nice window, were to sell peeps at two bits a head. Thus we see that what the industry has to sell doesn’t really belong to it. It belongs to you. Since Gossage’s attack on the billboard, the format has evolved — even been redefined. 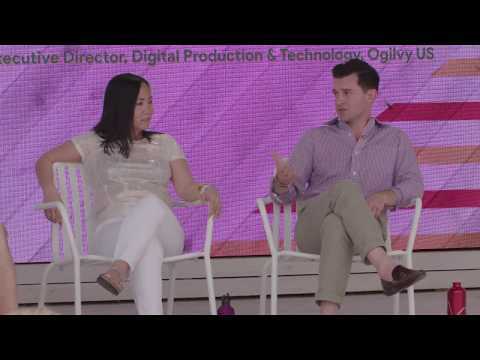 New technologies and an inventive way of approaching how to use OOH advertising have resulted in examples that defy the billboard’s reputation as simply an eye-sore. 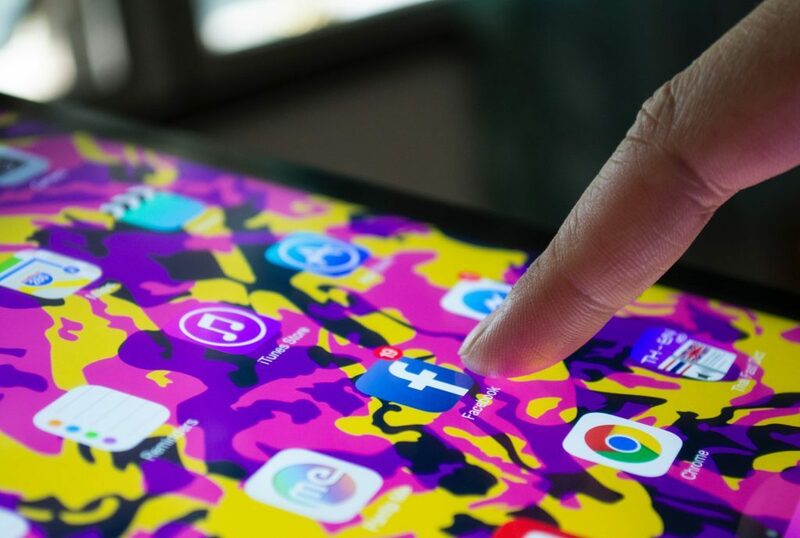 Now, that’s not to say there isn’t a lot of clutter in our “air space,” but it’s worth reviewing how brands are using the billboard format to create interactive, useful, and more importantly, interesting advertising. Reebok installed a speed camera and tracking technology in an outdoor ad in Stockholm that challenged passers-by to run past the display. If the person could beat a 10.5 mile per hour pace, she would be rewarded for her quickness with a new pair of ZPump 2.0 shoes. 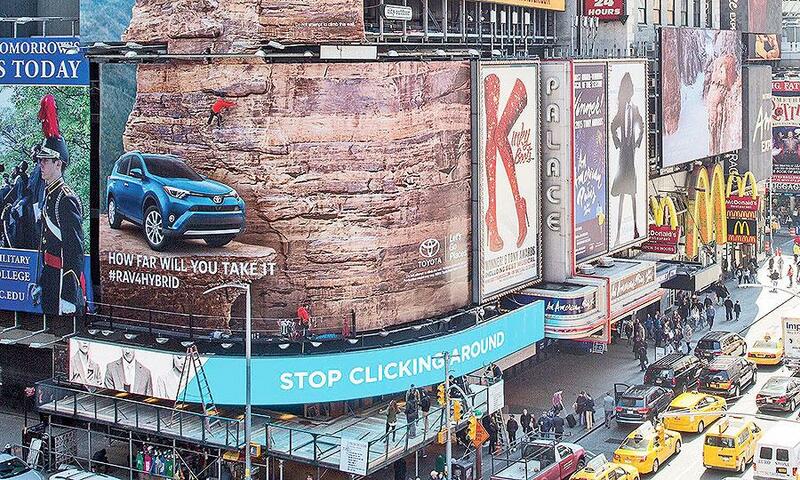 To promote the Toyota RAV4 Hybrid model, Saatchi & Saatchi LA erected the largest climbing wall to have been built in New York City — a 6,000-pound wall right in Times Square — and had pro and novice climbers scale the 10-story tall billboard. 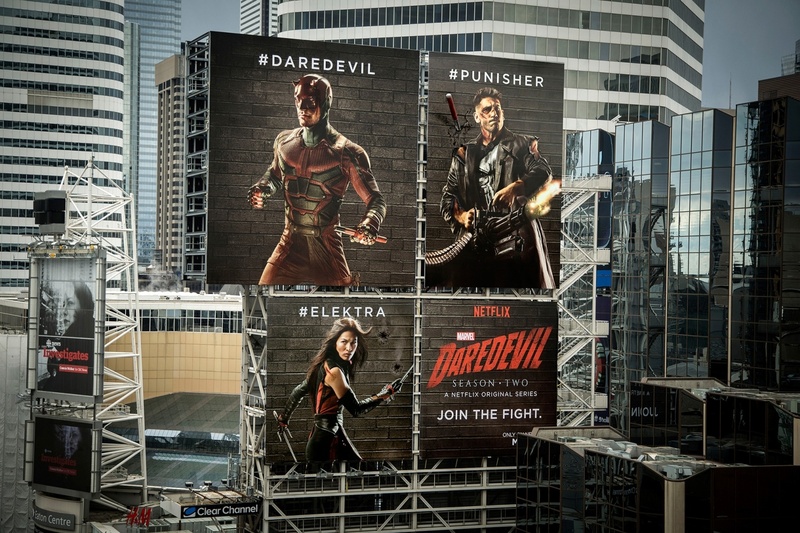 This Toronto billboard from Netflix brought the superhero battle to a bigger stage. Viewers were asked to tweet in support of one of the characters, and the one with the most mentions would then damage the other characters’ posters, which appeared as bullet holes, bruises, and cuts. 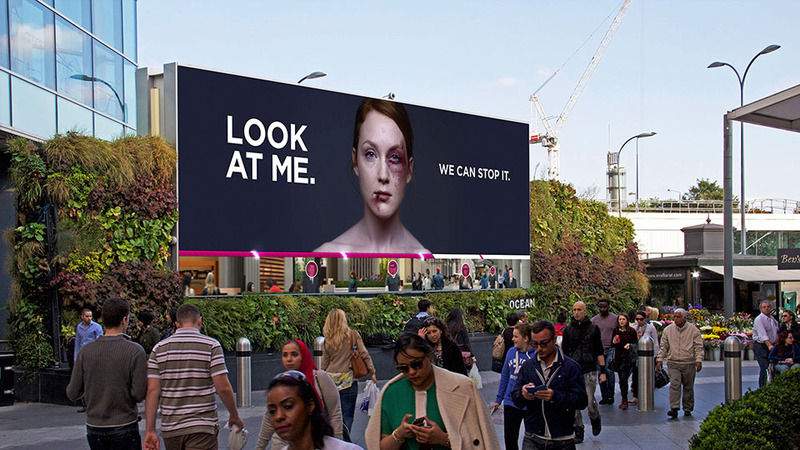 This billboard featuring the bruised and battered face of a woman appeared in London in 2014 for International Women’s Day. It used facial recognition technology, and the more people looked at the woman’s face, the faster the cuts and bruises healed. The Peru-based retailer built a billboard that also functions as a rest stop for sleepy drivers after learning that one in three accidents are caused by fatigue. The OOH ad located on a long stretch of highway was made of mini carports that were decorated like bedrooms, and it provided travelers with free Wi-Fi and sleep masks. Fed up with the conditions of Panama City’s roads, a local advertising agency placed devices in potholes across the city that would tweet messages to the Department of Public Works whenever someone drove over it. The campaign led to the minister of Public Works addressing the issue on a local TV station. For the launch of the famous brand’s “Have a Break” campaign in Colombia, the brand installed billboards that would vibrate when people leaned against them, providing passers-by with a quick, stress-reducing massage.